Cloudy skies. High 81F. Winds SSW at 10 to 20 mph..
Overcast. Slight chance of a rain shower. Low 63F. Winds S at 10 to 15 mph. 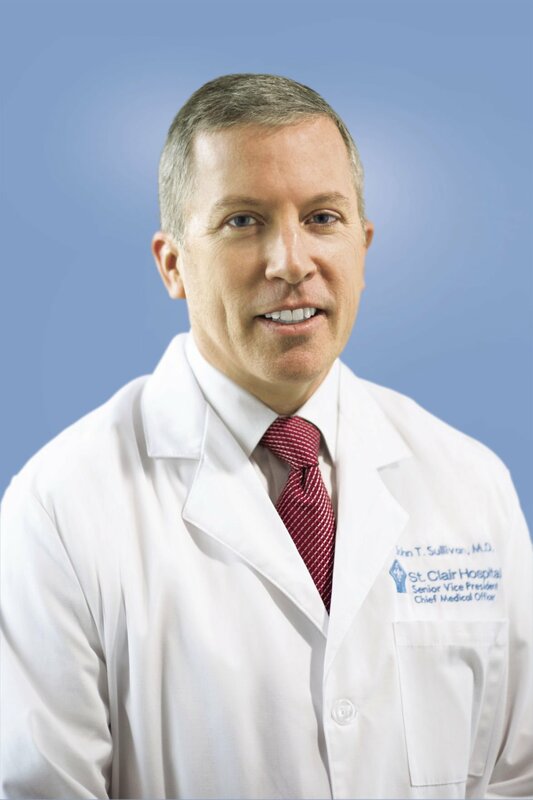 St. Clair Hospital announced the appointment of John T. Sullivan, M.D. as the hospital’s new senior vice president and chief medical officer. Sullivan joins St. Clair Hospital from Northwestern Memorial Hospital in Chicago, where he served for 17 years in a number of clinical, academic and management positions, most recently as associate chief medical officer for Academic Affairs, and as professor of anesthesiology in the Northwestern University Feinberg School of Medicine. He is also the immediate past-president of the Society for Obstetric Anesthesia and Perinatology. “He is uniquely qualified to lead St. Clair’s continued ascent as one of the nation’s leaders in patient safety, quality, patient satisfaction and value,” said James Collins, president and chief executive officer, St. Clair Hospital. Sullivan earned his medical degree at the University of Michigan Medical School. He completed a residency in anesthesia at Massachusetts General Hospital, which is affiliated with Harvard Medical School. More recently, he received a MBA degree from the Kellogg School of Management at Northwestern University. He has also held a series of progressively responsible positions with the Navy, and currently serves as a commander in the Naval Reserve. At St. Clair, Sullivan will be responsible for clinical program development, best-in-class performance, and leveraging technology to better serve patients and the community. South Fayette Township School District announced that Education Week has named Aileen Owens, director of Innovation, among 12 exceptional leaders in education who are working to transform K-12 schools. Their Leaders to Learn From report was recently released online. According to the report, each educator was chosen for his or her vision, commitment, and risk-taking in the pursuit of creating projects and programs and challenge students. They were selected from hundreds of nominees submitted by Education Week readers, staff reporters, and administrators. The honorees will be recognized April 11-12 at Education Week’s Leaders to Learn From event in Washington, D.C. For more information about the event, go to www.leaders.edweek.org. Dr. Sharon Suritsky, assistant/deputy superintendent for the Upper St. Clair School District, has been named a 2018 AASA Women in School Leadership Award honoree in the Central Office/Principal category. Suritsky, along with two other honorees, were recognized on Feb. 16, during the organization’s 2018 National Conference on Education, in Nashville, Tenn. The award, sponsored by Horace Mann and AASA, pays tribute to the talent, creativity and vision of outstanding women educational administrators in the nation’s public schools. The awards continue a longstanding tradition of AASA honoring exceptional female superintendents, district level administrators and principals whose talent, creativity and vision are exemplary. Candidates were judged based on leadership in meeting the learning needs of students, personal and organizational communication strength, constant professional improvement of knowledge and skills, and active community involvement. University Veterinary Specialists, a referral emergency and specialty veterinary hospital located in Pittsburgh, announces the appointment of Apryle Horbal, VMD MRCVS, to the Pennsylvania Board of Veterinary Medicine. Pennsylvania Gov. Tom Wolf and the state Senate wrote to congratulate Horbal on her appointment beginning in March 2018. Horbal, a graduate of the University of Pennsylvania School of Veterinary Medicine and Member of the Royal College of Veterinary Surgeons in the UK, has most recently dedicated her career to the betterment of companion pets and large animals as the president of University Veterinary Specialists. Horbal is also the co-founder of VetNOW, a telehealth initiative dedicated to setting standards of excellence in the emerging field of veterinary telemedicine. Members of the Board are tasked with regulating the practice of veterinary medicine in Pennsylvania and protecting the public from unauthorized veterinary practices. In this board position, Horbal will have the opportunity to guide legislation and streamline veterinary practices across the Commonwealth of Pennsylvania and the nation. Amy Pfender, director of student support services for the Upper St. Clair School District, has been selected to receive the 2018 University of Pittsburgh School of Education’s Distinguished Departmental Alumni Award from the Department of Administrative and Policy Studies. She will be recognized at the School of Education’s Alumni Reception on April 6, at the University Club on Pitt’s campus in Oakland. Pfender joined the Upper St. Clair faculty in August 2005 as a special education teacher at Boyce Middle School. In 2009, she became the district’s elementary special education department chairperson and the following year ascended to special education curriculum leader. In March 2012, she was appointed assistant middle school principal and was promoted to principal of Boyce Middle School a year later. She began her current role, director of student support services, in January 2016. Dr. O’Toole describes Pfender as a fierce supporter of everyone who regularly goes above and beyond to do what is right and best for others.“She is a selfless leader who is humble and always prefers to focus on others rather than herself,” Dr. O’Toole said. “She walks into every meeting and every classroom with the same thought...How could I support you? How can I support the students? 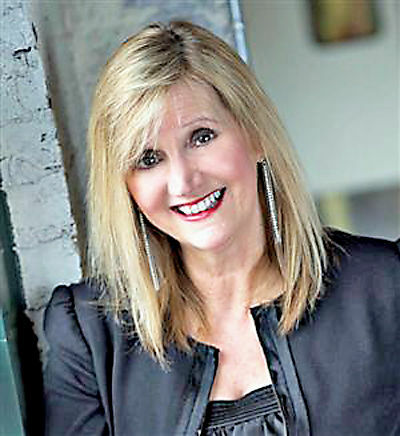 Tell me what you need.”In May 2015, Pfender earned statewide recognition for her early leadership skills when she was honored with the Wanda McDaniel Honorary Membership Award from the Pennsylvania Association of School Administrators. The annual award recognizes an aspiring school administrator who demonstrates evidence of great leadership potential. Pfender earned a master’s degree from the University of Pittsburgh and a bachelor’s degree from Edinboro University of Pennsylvania. In addition to her administrative principal certification, she also holds certifications in K-12 supervisor of curriculum and instruction and K-12 supervisor of special education. She resides in Robinson Township, Washington County, with her husband, Keith, and their school-aged children, Jonah and Emily.